I am not a tech whiz. So these two pics are rather fuzzy. It doesn’t matter! 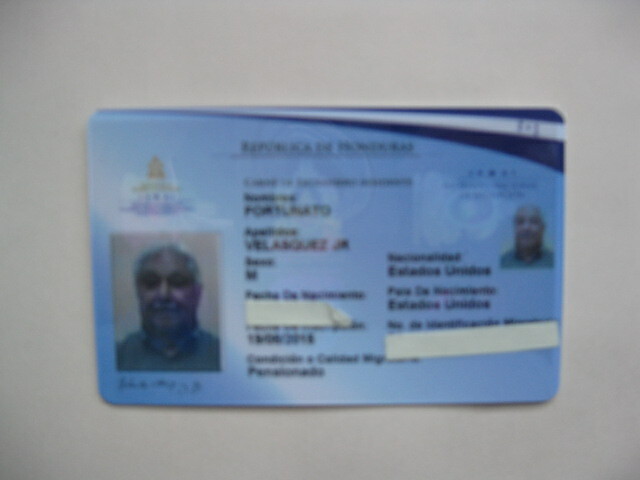 This is my new Honduran permanent residency ID card that I picked up on the 10th of September, the Día del Niño, at the Department of Immigration in Tegucigalpa. The Day of the Children is a state-mandated holiday in honor of the children of Honduras. 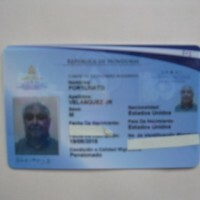 Another national law is the senior discount law on all commercial purchases for persons over 65 years old. One other great occurrence on the Día del Niño for me was granted at the Honda dealership when I went to argue for my Honda Hybrid’s regular maintenance service visits instead of having to drive to El Salvador. Yes, the agency director told me: the rules have been changed. My next Honda Hybrid maintenance visit will be at the Honda agency in Tegus. Great day in the morning! This entry was posted in Everyday on 10. September 2015 by Fortunato Velasquez.